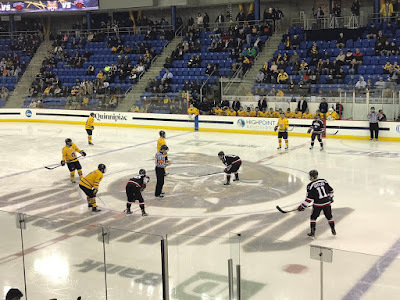 An early look at the 2017-2018 college hockey season by College Hockey News saw the Quinnipiac Bobcats men's ice hockey come in as the number 10 team in their Super Early Top 10 for next season. Senior College Hockey News writer Joe Meloni had this to say about the team in an excerpt from the Quinnipiac portion of the poll. 'It's a good sign for a program when it misses the NCAA tournament and everyone wonders what exactly went wrong. The Bobcats won 23 games last season but picked up just two wins against NCAA tournament teams in seven tries. If a few of those results flip, the Bobcats likely see their run of NCAA tournament appearances grow to five straight. The Bobcats bring back 89 goals from last year's team, losing only Tim Clifton from their top scorers. The departures of Connor Clifton, Derek Smith and others from a successful senior class won't be easy to replace. However, QU has a become a program that reloads, rather than rebuilding." 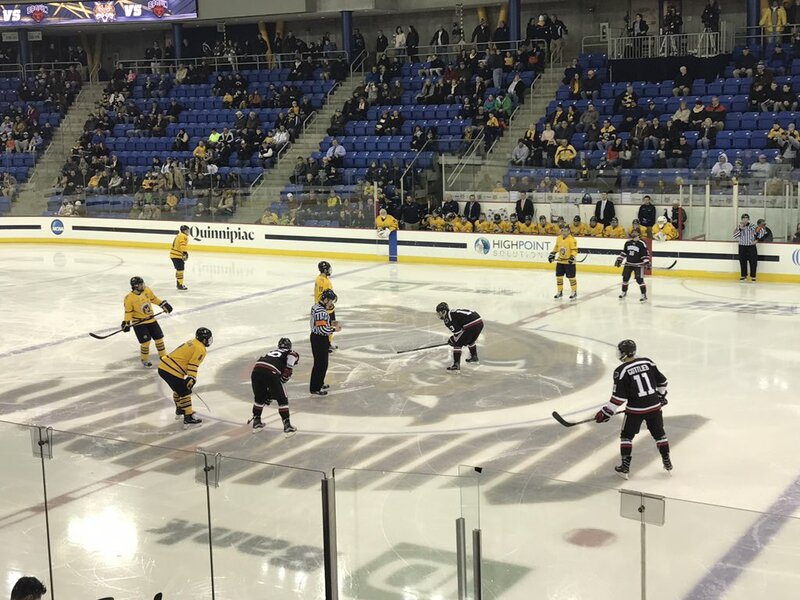 On paper Quinnipiac should be one of the upper echelon teams in the ECAC again with 17 players returning, with many of them having played large roles last year or in past seasons. The Bobcats will bring in 11 new faces which includes two transfer blue-liners that practiced this year with the team. The recruiting class is highlighted by standout goaltender Keith Petruzzelli who should be the highest Quinnipiac draft pick in this June's NHL Draft. Joining Petruzzelli, will be AJHL scoring champion Matt Forchuk, speedy play-making forward Odeen Tufto, Hamden native defenseman Joe O'Connor along with transfers Brandon Fortunato (BU), John Furgele (UNH) and five other freshman who will bring quality depth and talent to the program.